Finding the right boxing glove is a personal journey. You will know when you find the right glove for you as - well - they'll fit like a glove. Over the years, I've tried and tested many brands but have always found myself returning to the Cleto Reyes training gloves. With that in mind, this Cleto Reyes training gloves review will explain why I believe that these are some of the best training gloves on the planet. What type of training are you going to be doing? If you're planning to do a wide range of activities, a pair of all-purpose gloves are a sensible option. 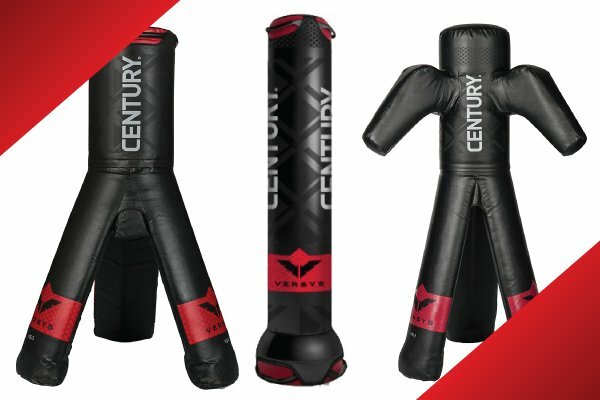 If you are planning to concentrate on mainly doing bag work, a pair of bag gloves that are specifically designed to protect your hands during bag work is probably a better buy. Fortunately, the Reyes training gloves are pretty versatile and are capable of all areas of training such as bag work, pad work and sparring. That being said, if you want to spar, I would recommend going for the 16oz gloves, as you don't want to be making any enemies down the gym. Lace Up VS Velcro: Lace-up gloves offer a better fit and wrist support but are not very convenient as you will the need the assistance of someone else when it comes to tying them up. If you are planning to train at home alone rather than in a gym, velcro-fastening gloves are probably a better choice. Size is another thing to think about: It's crucial to make sure you buy the right size. If you want to find out your glove size (in inches), measure around your hand with a tape measure across the widest part, which is just below the knuckles. Always measure your dominant hand, which most likely will be slightly larger - the right if you are right-handed, and the left if you are left-handed. If you are unsure, ask your trainer for advice, as the fit and weight depends on the size you choose. 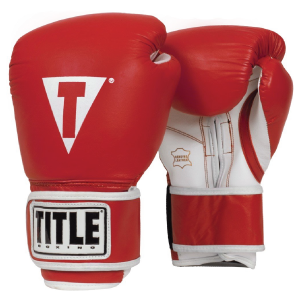 The type of material used to make the gloves: Boxing gloves are either made from leather or vinyl. Leather gloves are much longer lasting than vinyl, but unfortunately are more expensive. As with most things in life, you get what you pay for. Good quality gloves, such as Cleto Reyes training gloves, work out more economical in the long run as you won't need to keep replacing them. I've found that synthetic leather gloves to hold up well over the short term, but after a few months of use can definitely start to wear out and will need replacing. Before searching for your next pair of gloves, it's a good idea to work out how much you're prepared to spend. If you're a beginner and aren't sure how much you will use them, vinyl gloves could be a good short-term option. If you are confident that you will be training regularly, it makes sense to invest in a quality pair of gloves that are guaranteed to last a long time as well as offering proper levels of protection. 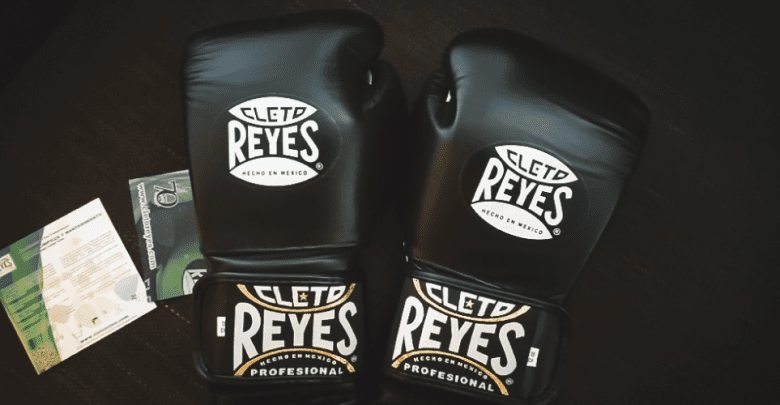 What are the Cleto Reyes Training Gloves? 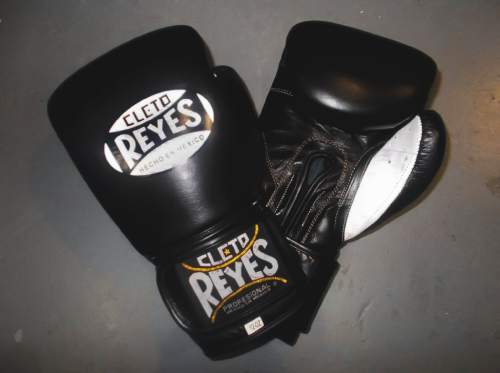 Cleto Reyes training gloves are a premium brand of boxing equipment that has been worn by numerous boxing champions. In fact, they are known as the 'Gloves of Champions' and many fighters claim that they are their favourite brand of gloves. 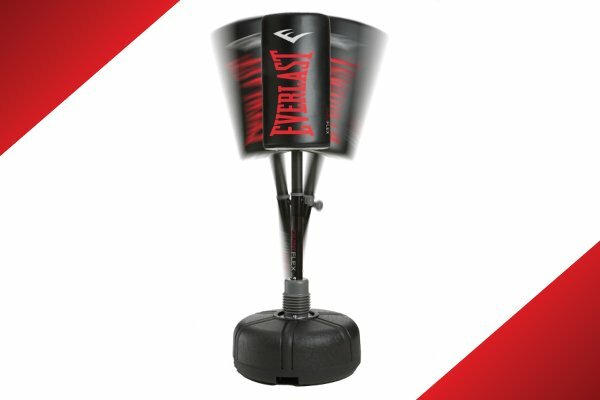 They are made in a family-owned factory in Mexico along with other types of boxing-related merchandise. The cleverly designed thumb and wrist support design and the fact that the gloves are made from 100 percent premium leather - with waterproof nylon lining - place these gloves in a category of their own. The shape of the gloves is rectangular and much less bulky looking than the round globe shape of other styles. This can polarise opinion, but true boxing aficionados prefer the Mexican style, almost without exception. Intelligent design of thumb and wrist grip support. 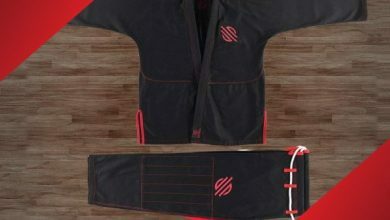 Sufficient protection to shield you from sprains and breakages but still allow you to feel the power of your punches. Good choice of colour allowing the expression of individual style. ​Made from durable leather, allowing the gloves to last for a long time before they need replacing. Despite being expensive, these gloves still offer incredible value for money. They can take a long time to break in - some boxers prefer their gloves to perform instantly. The exterior is not waterproof - although this is a relatively minor problem. Any spillages or stains can usually be cleaned off with the appropriate products. In a nutshell, Cleto Reyes gloves are ideal for a boxing enthusiast, looking to invest in a high-quality, protective pair of gloves from a reputable brand. It's true that cheaper gloves are available but they will almost certainly fall apart quickly and won't offer the same level of protection. If you want a glove that will last, Reyes gloves are the ones for you. Cleto Reyes gloves are available in numerous multiple colour variations including black, lime green, pink and red. Versions with the USA or Mexico flags are also a possibility, as is metallic purple and gold. There are colours to suit all tastes so why not choose the one you love? As a boxer, I know that my gloves are an important part of my personal identity and so it's really important that they look good - apart from the fact that they are less likely to get lost or mixed up with someone else's kit at the gym. Cleto Reyes gloves do not disappoint - whatever colour you choose, they look stylishly cool, additionally emblazoned as they are with the iconic black and white Cleto Reyes logo located on the front and the wrist strap. You'll notices that a few lines on the logo are stitched in gold, which really adds to the premium look of the gloves in a classy understated manner. Clete Reyes gloves are manufactured using genuine goatskin leather under conditions with the strictest quality control. I personally prefer leather as it is a natural and breathable material, meaning that my gloves are much less likely to become smelly over time - think about the difference between good quality leather shoes and cheap synthetic trainers. Many people also find leather to be far more comfortable to wear. Leather gloves are also far more durable than synthetic materials, meaning that they will last much longer and be less inclined to scuff and rip on the floor after bodyweight training sessions. Additionally, I also prefer the look of leather - I love its classic and timeless appearance. I also feel that leather offers higher levels of flexibility than vinyl gloves. And leather smells amazing! The entire raison d'etre of boxing gloves is to provide protection to your hands and wrists so it is vital that you buy a pair that has excellent protective qualities. Cleto Reyes gloves feature a good two inches of traditional horsehair padding to safeguard your hands while still allowing you to feel the power of your strikes. This padding is notoriously stiff - you'll probably find that it will take you at least a few months to properly break them in - but it will become stiffer over the years, meaning that protection improves rather than declines. The good news is that this is a sign of their durability - they are designed to withstand many years of fighting and training, unlike a lot of the cheaper gloves out there. The adjustable lacing on the wristband also helps to protect the wrist by keeping the glove securely in position. Nylon wicking protects the interior of the glove from water damage. The intelligent design of the thumb and wrist offers more protection than other inferior brands. All in all, Cleto Reyes boxing glove are the answer to anyone who is serious about boxing - whether they are an amateur or a pro. 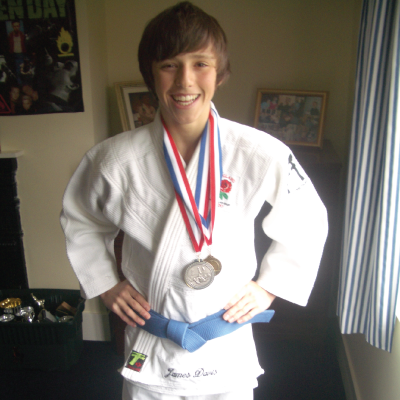 At the end of the day, if they were good enough for Mohammed Ali, they are good enough for me and you! Each pair of gloves is skillfully crafted by Mexican artisans. Strict quality control is maintained throughout each stage of the production process resulting in the superb gloves which boxers have loved to use since 1945. Rip off imitation brands can be easily bought, but they are equally easily identified by poor stitching and inferior materials. Each component of every glove is handwoven, hand cut and hand-sewn together in the factory in Mexico. Only the highest quality animal hides are used, along with components made of other products - the padding and the moisture-wicking lining that are also of exceptional quality. It's a painstaking process that results in the high-quality, long-lasting finished product that is revered by boxers across the world. 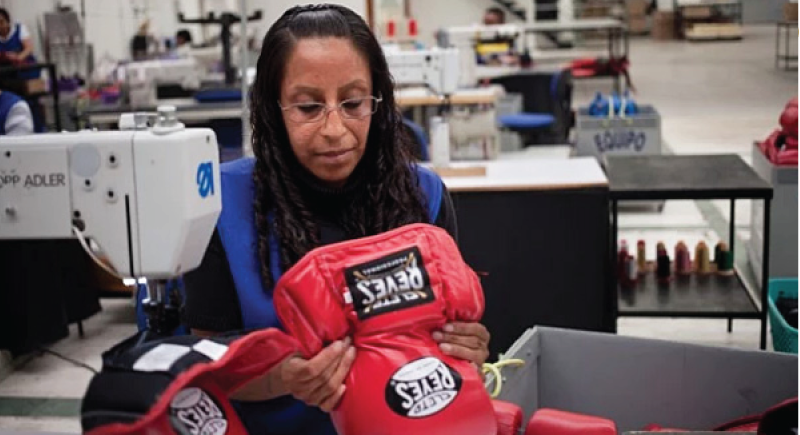 Each pair of Cleto Reyes training gloves has been submitted to countless hours of manufacturing and field testing. A traditional manufacturing process that still manages to tick all the contemporary safety regulations is unusual in the sports equipment industry, and not something illegal manufacturers adhere to, which sadly often causes physical damage to both amateur and professional boxers. Cleto Reyes gloves are designed to be a tight fit for your hands. The wrist cuff design offers much more protection to this part of your body compared to other styles of boxing gloves, especially because of their extra long design. The gloves closely fit the thumb and forefingers, protecting them from sprains or breakages. The attached thumbs, in particular, effectively prevent eye or thumb damage occurring in the ring. Boxing is a sweaty business but Cleto Reyes gloves have a moisture-wicking lining that helps to deliver training and sparring sessions that are cool, dry and sweet-smelling, as well as helping to keep your fist secure. At the end of the day though, boxing gloves are going to end up smelling, regardless of the moisture wicking properties or mesh lining that the gloves have. The good news though is that your Reyes will smell fresh for a fairly long time when compared to other gloves, which to be honest, is all we can really ask for. A hook and loop closure system that makes use of a Velcro fastening system, ensures that Cleto Reyes training gloves are easy to take off and put on. Of course, Cleto Reyes gloves are also available with traditional laces, but the hook and loop method is extremely popular because it is so straightforward to use and very comfortable to wear around the wrist area. Similarly, lace up gloves are less than ideal for training situations, where you could be taking your gloves on and off multiple times through out a class. It's a fact that Cleto Reyes training gloves are at the expensive end of the boxing glove market. 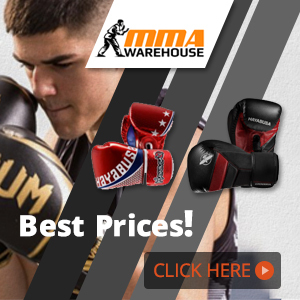 If you are interested in gloves that are nearly as good quality but are slightly cheaper, you may be interested in TITLE Pro Style training gloves, which offer many of the same benefits of Cleto Reyes gloves. TITLE Pro Style training gloves are similarly made out of genuine leather, are built to an exceptional standard but are slightly cheaper. These are ideal for anyone on a tighter budget who would still love to get their hands on a great pair of gloves. 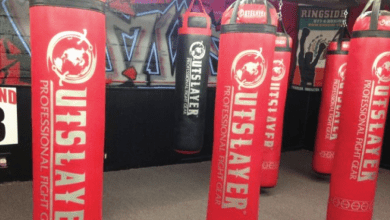 Cleto Reyes are expensive, but if you are prepared to pay for the extra little finishing touches and are looking for the best gear in the business, you won't be disappointed. Cleto Reyes training gloves are built to last, are comfortable to wear (well, once they've been worn in) and look amazing. 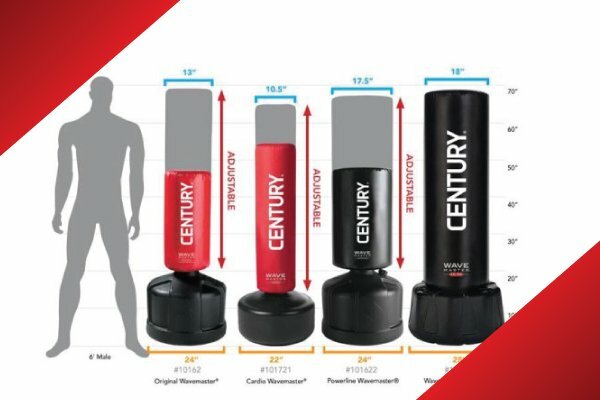 They offer brilliant levels of protection and will help you to deliver knockout punches. Cleto Reyes gloves are the choice of professionals - if you can afford the price tag, they are great for sparring (16oz minimum weight recommended for sparring with Mexican style gloves). Cleto Reyes gloves really are an (upper) cut above all other gloves in a crowded sector. 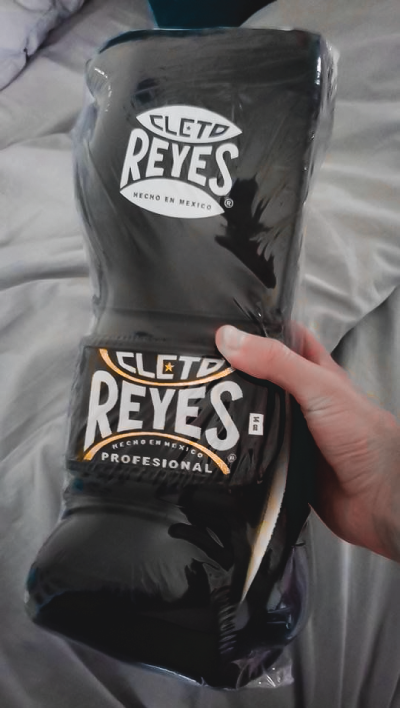 If you want to wear the same gloves as Tyson, Ali, Pacquaio and more, it's a no-brainer - it has to be Reyes. The gloves are deservedly highly recommended and are sure to see you through many battles for years to come.